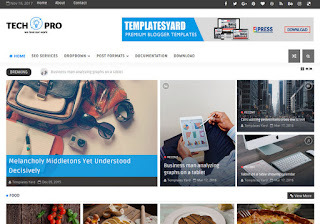 TechPro Technology Blogger Template is a blogspot theme designed to provide an “all-in-one” solution for every publishing need. With Tech Pro, you can explore endless possibilities in crafting the best fully-functional website. ideal for niche's like modern magazine, Travel, Entertainment, Fashion, Crafted & Handmade, Technology, Foodies & Cooking, Movie & Videos, Automotive and Sport. This theme is a featured, super professional and easy to use, Your design in blocks and just simplicity of using shortcodes. 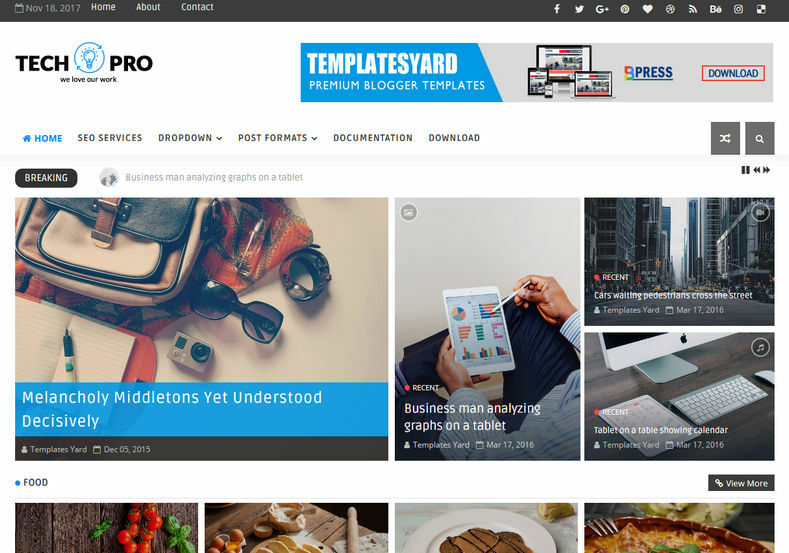 Also, it’s packed with unlimited possible layout combinations to suitable for all news, newspaper, magazine and blog website. It has a uniquely designed post page which puts first image as featured image. We push our limit to provide you the easiest way to reach High score on every aspect of tests whether it is loading speed, seo score, schema or mobile friendly design. With Tech Pro, it is possible now to reach maximum points with minimal effort.